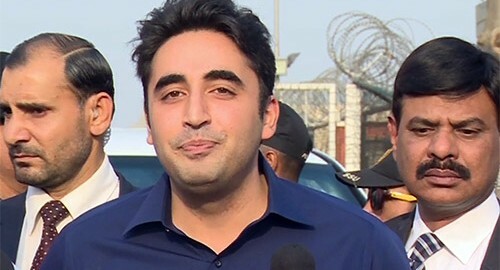 LAHORE (92 News) – PPP chairman Bilawal Bhutto Zardari has said that a good period for his party will start now. Talking to the media on Wednesday, he said that he had come to meet his brother in Lahore. “The recovery of Shahbaz Taseer and Ali Haider Gilani is a good beginning. Good News is very essential for the morale of Pakistan,” he said. Bilawal Bhutto Zardari said that they were waiting for the arrival of Prime Minister Nawaz Sharif in the National Assembly.